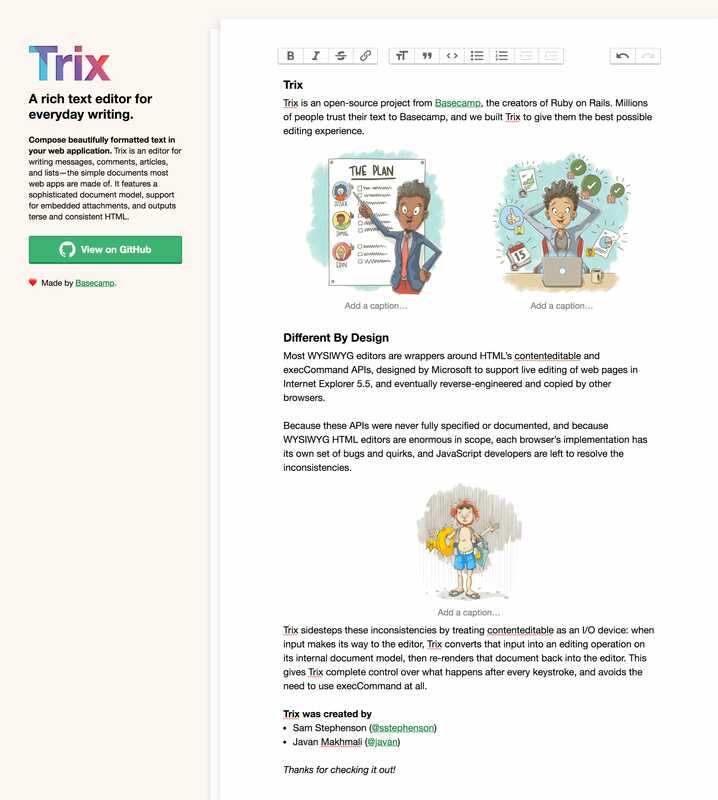 Neat One Page website announcing Trix 1.0 – the WYSIWYG editor powering all textareas in Basecamp. The impressive rich text editor is actually beautifully integrated within the Single Page website where you can give it a spin right there. Compose beautifully formatted text in your web application. Trix is an editor for writing messages, comments, articles, and lists—the simple documents most web apps are made of. It features a sophisticated document model, support for embedded attachments, and outputs terse and consistent HTML.